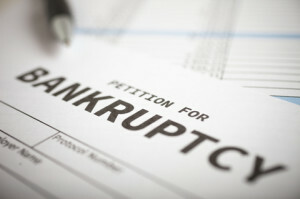 Filing for Bankruptcy is a difficult process that can be both emotionally and legally complex. In most cases nobody ever “expects” that they will file for Bankruptcy until it happens. Unfortunate circumstances such as job loss, sudden illness, and bad investments can leave people in a position where they have no choice but to file for Bankruptcy. In order to deal with the legal aspect of filing for Bankruptcy, these individuals must often enlist a lawyer to help them make their case and to proceed with success. The lawyer whom you choose to assist you with your Bankruptcy case makes all the difference. Because the circumstances that surround Bankruptcy are often very difficult to deal with, you want to enlist a lawyer who will act in your best interest and walk you through the legal processes that are involved. Ignazio Ficara has over 30 years of experience in helping clients navigate the bankruptcy process. He offers personalized, dedicated service to help his Bankruptcy clients better understand the legal end of the their case and what to expect following their filing. At the Ficara Law Office you will find an attorney who is sensitive to the unfortunate events that lead to an individual failing to pay off his or her debts and becoming bankrupt. He values the efforts his clients have made to achieve their financial goals and understands that occasionally life can be unpredictable. In order to help people better survive Bankruptcy, Ignazio Ficara is dedicated to doing all of the heavy work required to file while offering informed legal advice for his clients. The financial setbacks leading up to Bankruptcy can be traumatic and difficult to cope with. This is why it is important for clients to enlist legal assistance to help them develop a strategy that will not only offer debt relief but assure that they can once again be financially independent in the future. At the Ficara Law Office, we firmly believe that in order for this process to begin, the client must understand the legal magnitude of their filing. They must also be presented with alternative legal solutions that may help them better manage their case. It is a widespread misconception that Bankruptcy filing is easy. The truth is that it can be a complicated legal process involving a variety of categories and types. When the process is not properly clarified and discussed, effected parties may not be clear on what exactly they are agreeing to. This can lead to more turmoil and distress down the road. This is why the Ficara Law Office provides expert Bankruptcy advice and strategy development. By helping his clients better understand the system of Bankruptcy, Ignazio Ficara can help them make informed decisions about their own finances that will help them get back on their feet. Because Bankruptcy can have such a long-term impact on a person’s life and the lives of their loved ones it is vital that all of the legal proceedings are expertly handled and explained. It is also important that all feasible alternatives to Bankruptcy have been clarified and discussed so that the individual feels confident in his or her decision to file for bankruptcy. In the current economic climate, the rate at which individuals are filing for bankruptcy comes as no surprise. Burdened under hard debt obligations but lacking in the financial means to pay them, many desperate people have decided that filing for Bankruptcy is their only option. However, this may not always be the best personal and financial route for everyone. This is why it is extremely important for individuals who are considering Bankruptcy to seek professional legal advice before making up their mind. Having your situation examined by a professional bankruptcy advisor at the Ficara Law Office could mean the difference between finding a solution, and becoming destitute. If, upon investigating your situation, Bankruptcy turns out to be the most feasible solution for you, having legal representation can help save you from creditor harassment. Even in a Bankruptcy case, you have rights! With legal representation, your rights will be protected and defended. If you are facing foreclosure on your home because of your debt situation, a lawyer can help by offering you peace of mind and proper advice that may help save your home. If you are facing Bankruptcy, chances are that you are feeling a great deal of stress and anxiety regarding your current financial situation. A skilled bankruptcy attorney can help relieve some of your emotional burden by helping you negotiate and properly traverse your debt situation. With the assistance of a knowledgeable lawyer you can identify the appropriate legal course of action to help you survive your Bankruptcy case. Having an expert legal professional on your side can make all of the difference. With his dedication to professional delivery and client confidentiality, Ignazio Ficara has become one of the leading choices in Yucca Valley for Bankruptcy and debt management cases of all sizes. Worried About Bankruptcy? The Ficara Law Office Can Help You! Call us today (760) 365-7000 to make an appointment.